A History-Assisting Historian? Helping Lyle Tuttle Tattoo on 7 Continents! 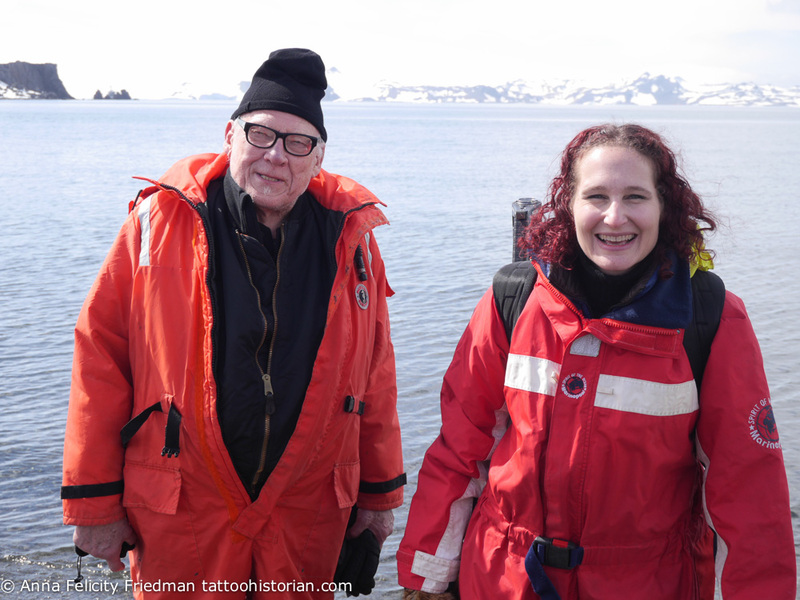 I just got back from a trip to Antarctica with the storied tattoo artist Lyle Tuttle. 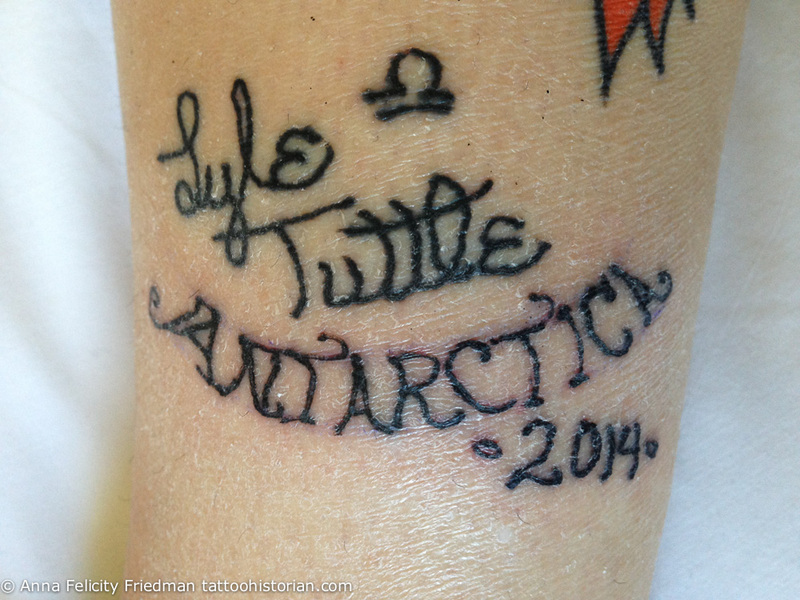 Slightly over a year ago at a convention, a little bird mentioned to me that Lyle wanted to visit Antarctica so he could fulfill a bucket-list dream of tattooing on all 7 continents. Traveling to the great Southern continent has always been a dream of mine too, so that night in the hotel bar, I cornered Lyle, related my personal fascination with Antarctica, and casually mentioned to him that if he really wanted to go, I could make it happen (I have a lot of adventure-travel and project management experience). And so, Lyle took me up on my offer to organize the trip and act as his assistant. I was honored and excited! Lyle’s impromptu tattoo station set up at the Russian Bellingshausen Station guesthouse common room. 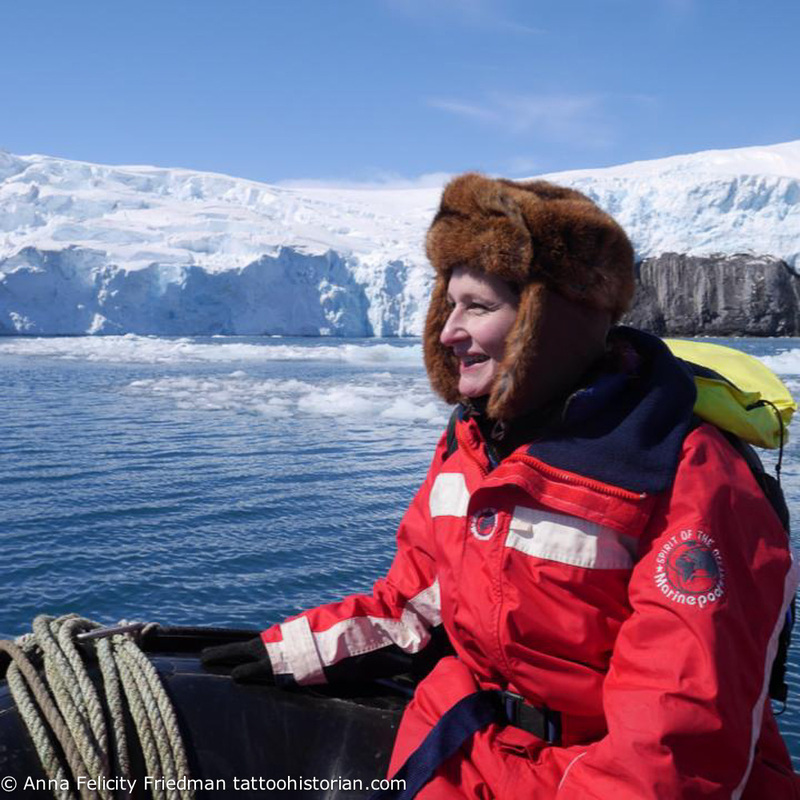 The concept of going to Antarctica and tattooing on 7 continents was supposed to have been a secret, so I swore not to tell anyone and managed to keep this all under wraps until the day we got back. 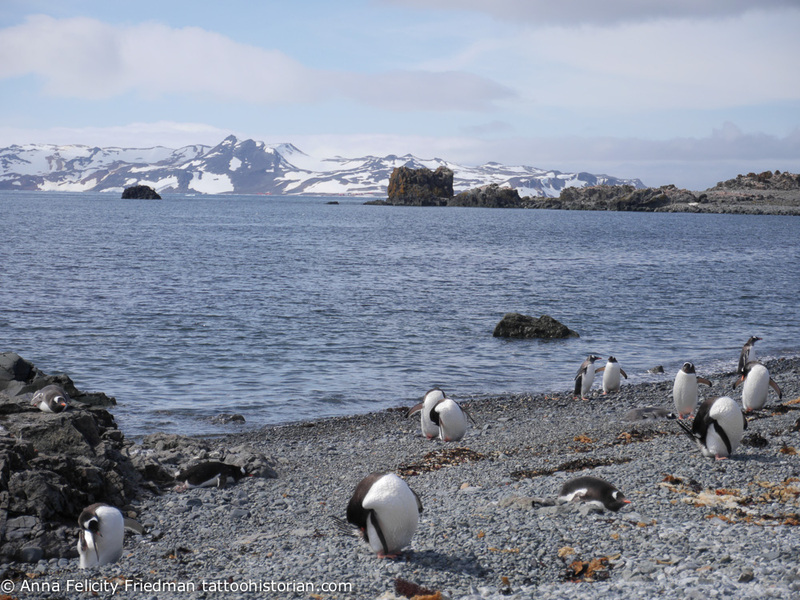 I created a code name for secrecy (the “LTA project”–for Lyle Tuttle Antarctica), and we were careful to not let anyone overhear us talking about it. I think maybe a dozen people knew what we were attempting (bad weather could have foiled the charter flight), and most of those didn’t know until just a few weeks before we left. Lyle just wanted to accomplish this goal for himself, but as a tattoo historian, I can’t help but wonder if he is the first person to have ticked off all the continent boxes on the “places I’ve tattooed” form. That would be an excellent first. If anyone out there can help confirm/refute this, I’d love to hear from you! It was an epic trip. Just traveling to the starting point for the charter flight, the sleepy Chilean port town of Punta Arenas, was an ordeal. 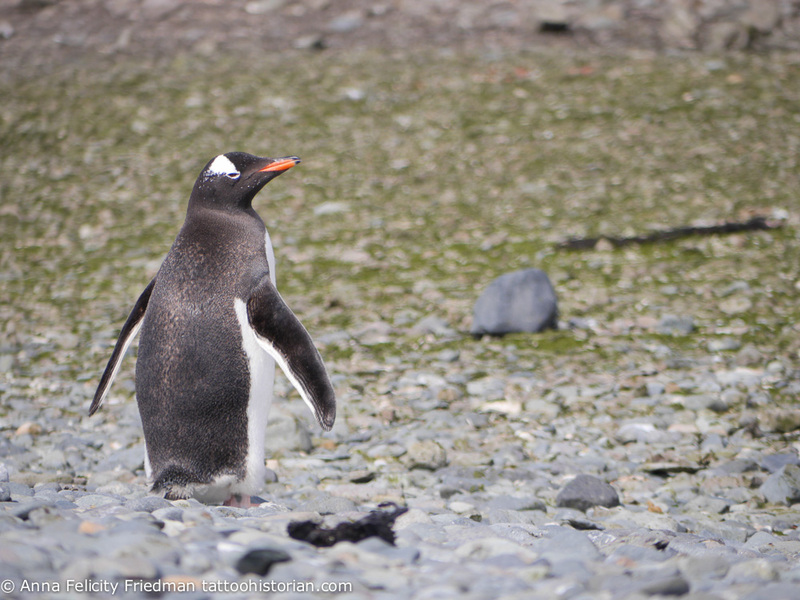 The Antarctica tour far exceeded any expectations I had in terms of flora and fauna, incredible geography, and breathtaking beauty. So thanks Lyle for taking a leap of faith and trusting me to be able to knock out the logistics of this adventure for you! One of the highlights of my life for sure. Please note: The images below may not be used without attribution and permission. All images are all rights reserved and should be credited as (c) Anna Felicity Friedman, 2014. Also: reporters and editors…if any of you out there might read this and are interested in the story or images (high res stills and video available, I brought pro equipment) call, email or otherwise message me! I can write it up from either the tattoo-history angle or the “how to travel to Antarctica, sleep overnight on the continent, and travel back in 10 days or less” angle. A close up of the tattooing in progress. 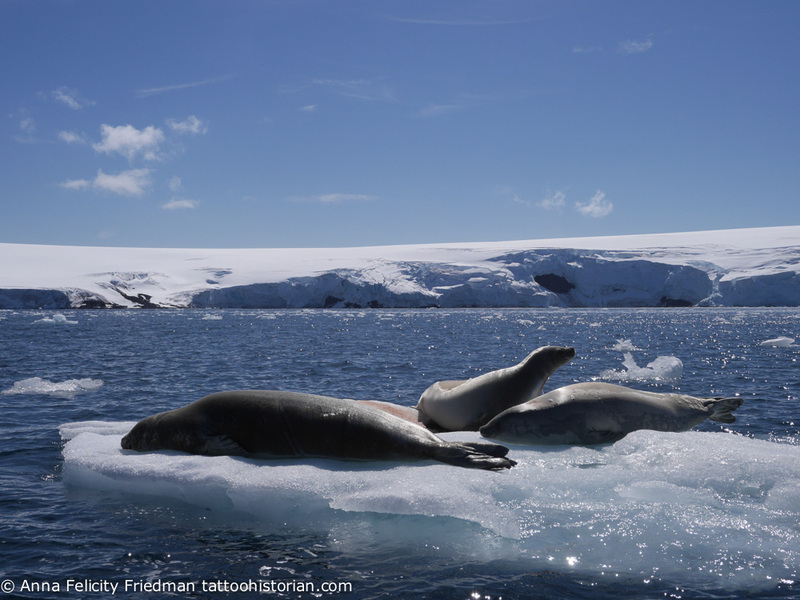 Some seals we encountered, just lounging on an iceberg. I fully understand now how their populations were so decimated by the fur trade, they could barely muster the energy to look up at us.